After you fall in love with Olmsted, you'll want to take some home. 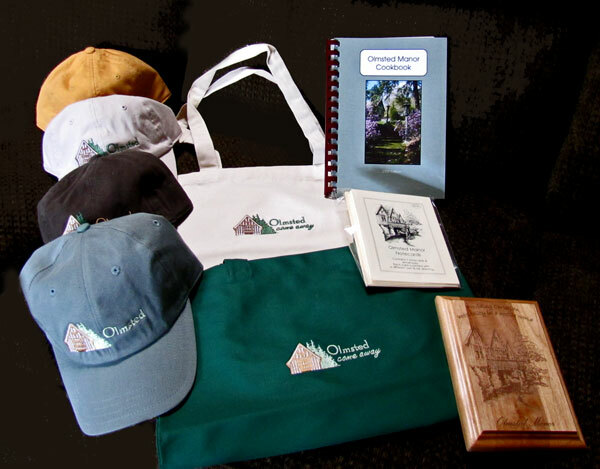 T-shirts, sweatshirts, canvas bags, and hats are all available embroidered with the Olmsted logo. We also offer two Olmsted cookbooks that capture the taste of Olmsted cooking so you can take the recipes home with you. To purchase any of these or other available items, please visit or call Anne at the front desk.